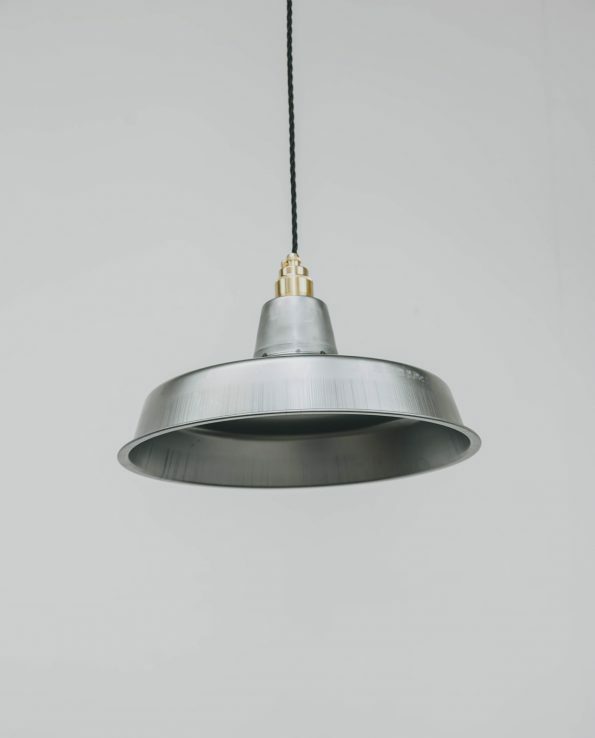 This Raw Steel Modern Workshop style light shade is a twist on our traditional workshop style light shade. It offers crisp lines and the shallow shade suits a variety of spaces. The raw and unpainted cold-spun steel will rust up if left un-oiled. This will create a great vintage look. Check out our range of accessories to accompany this shade. Manufactured in the traditional style using traditional moulds and cold spun steel, each shade has a unique look and a touch of vintage authenticity. 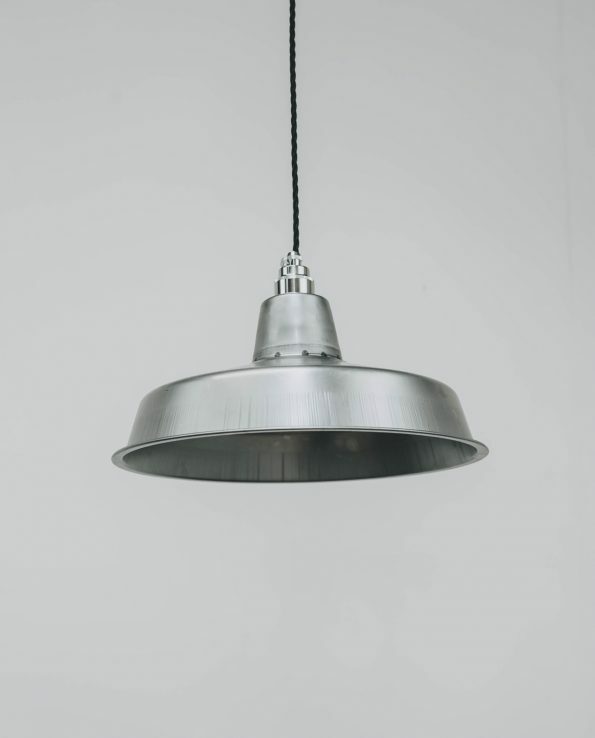 The light shade comes complete with E27 steel lamp holder fitting and cable clamp. The lamp holder is available in Brass, Black, Vintage Black or Chrome. 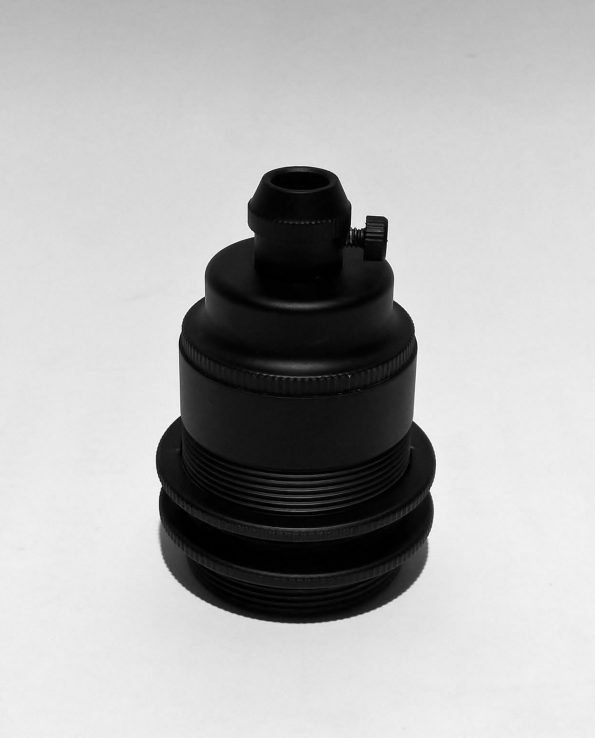 The included E27 fitting will take a standard Edison screw bulb up to 60 Watts and complies to NZ electrical standards. The fabric coated cable as seen in the photographs is not included, but can be purchased from us separately. 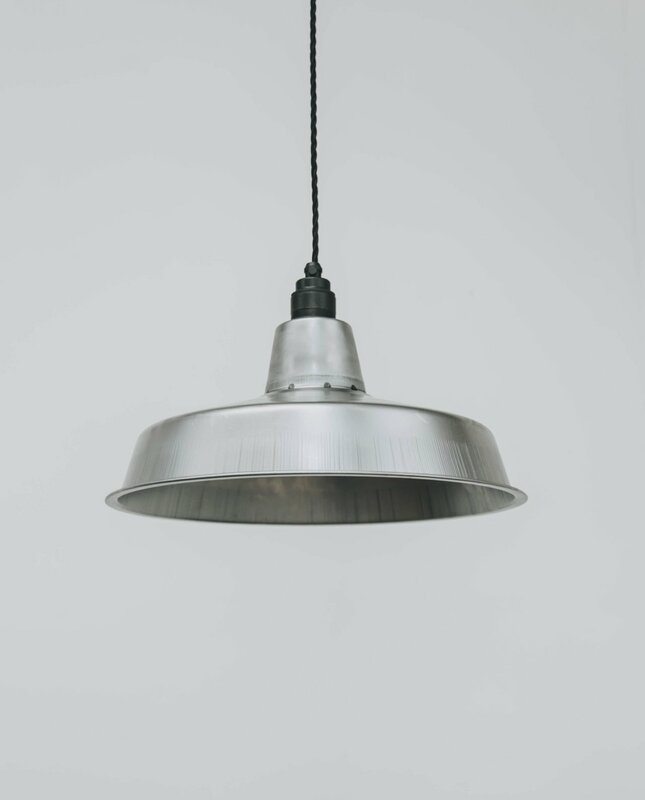 Our product range also includes ceiling roses, fabric cable, chain, and Filament lightbulbs. We import directly from the manufacturer. We can therefore ensure to offer the lowest prices and furthermore maintain control of product authenticity.